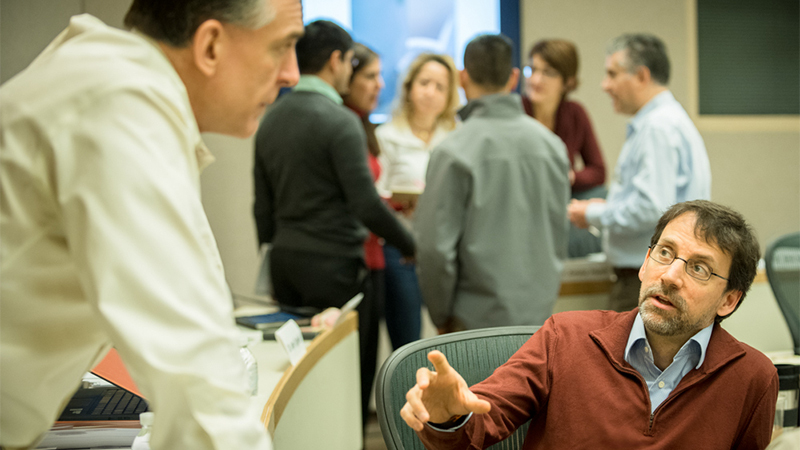 Heller's EMBA for Physicians is a rigorous, hybrid curriculum of onsite/online coursework and practicums designed to fit within the busy schedules and critical responsibilities of practicing MDs, DOs, DMDs and DDSs. The degree is structured as an accelerated 16-month program with four 10-day residential sessions. Off-campus time will be spent taking webinars, doing individual study and preparation, and engaging in online blended learning. This format makes the best use of participants’ valuable time, enabling them to gain the skills and credentials they need to make a difference in their institutions. The EMBA program matriculates a cohort of about 30 physicians in January that will complete the program in May of the following year. Each Brandeis on-campus session will be followed by an online learning curriculum that will include preparation for the upcoming on-campus session.